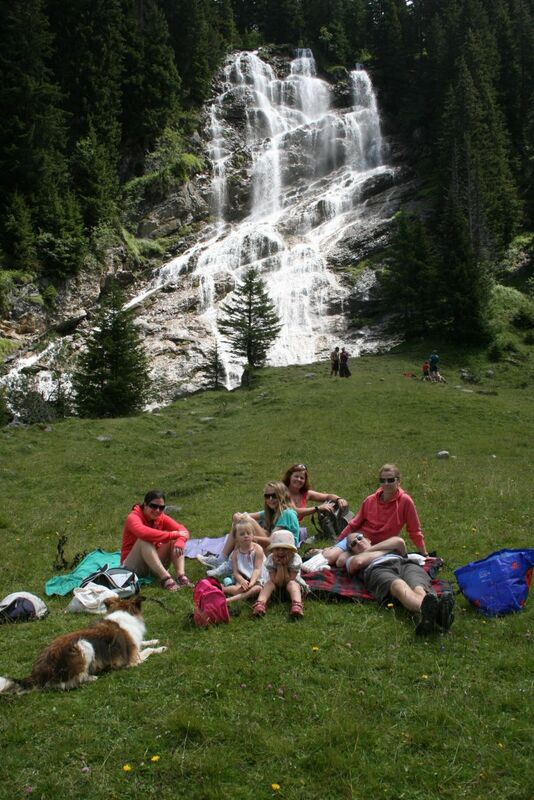 If you are coming on holiday as a family, Morzine has plenty to offer children of all ages. There are weekly events organized by the Tourist Office which range from Torchlit Descent to clowning displays and face-painting (see the "Family" information on the Morzine website) Morzine has the advantages of a short transfer from Geneva (1 hr 15 min), a good choice of ski schools with children's courses, and several options for good quality childcare. Most of our accommodation is child-friendly and we have umpteen years' experience of accommodating families (please ask us when booking for cots, highchairs and child seats on transfers). The town itself is easy to get around on foot and with baby buggies, as the roads and pavements are quickly cleared of snow, and there are several easy walks downstream and upstream from the town on specially laid out paths. We have small children ourselves and we know that the mountains are a great environment for children; the combination of playing and learning in the fresh air is exhilarating for them, and tires them out so they sleep well at night! 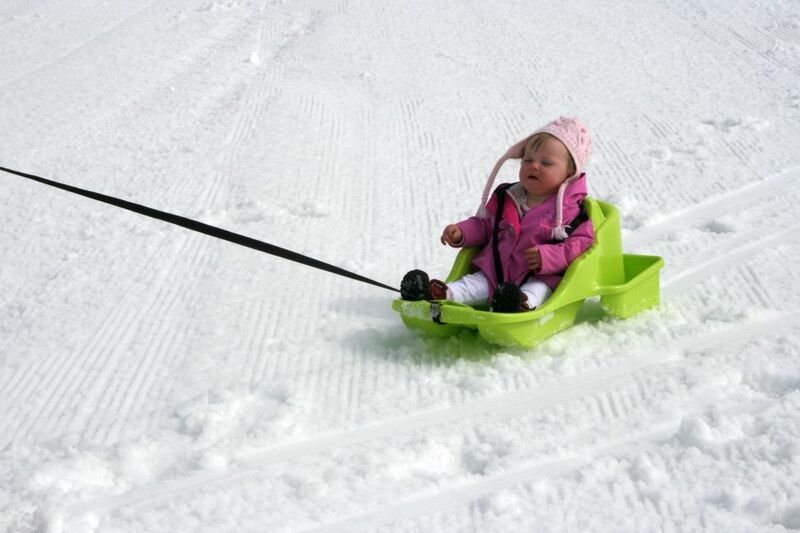 Kids Guide - click to read a great guide to what's on in Morzine for little ones, in French and English. 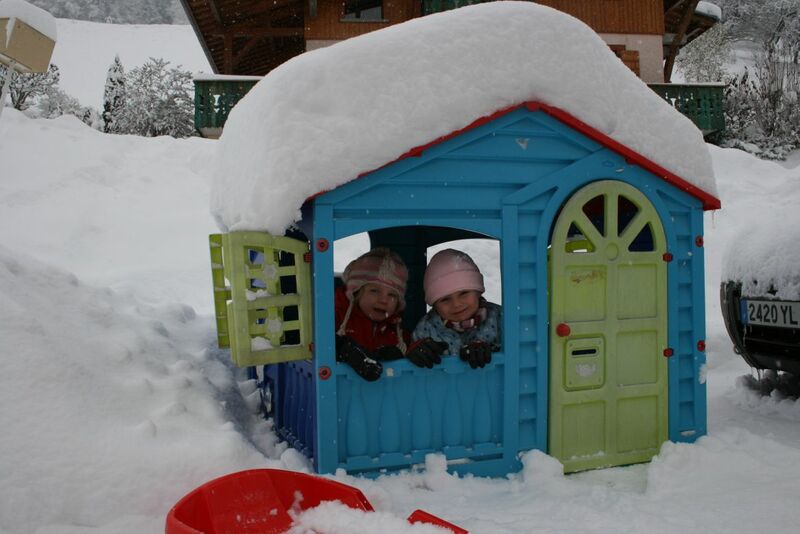 If you would prefer one-to-one childcare during the daytime at your accommodation, it is possible to arrange for an English-speaking nanny to come to the chalet to look after your children, or to meet your children from creche / ski school and take care of them until you return. For evening babysitting, we can usually arrange this for you via our own au-pair, or other local freelancers. The Club des Piou-Piou Ski Kindergarten takes children from age 3 – 14, on full day or half day sessions, including ski lessons. There is a wonderful big snow garden with little rope tow and travelator for little ones and lots of big Alpine animals to ski through! Chalet Rasera is ideally situated for use of the Club as it is less than 50m from the front door of the chalet. See Piou-Piou Club Lunch can be provided too. Prices for 2015-6 range from €186- €223 for 6 half days excluding lunch to €277-€336 for 6 full days excluding lunch (the higher rates apply to the French school holiday periods which run from 20/12/15 to 01/01/16 and from 07/02/16 to 04/03/16). Bookings must be made in advance via the ESF by POST ONLY by downloading the Booking Form at www.esf-morzine.com. We CAN however make bookings for the Club-des Piou-Piou on your behalf; just email us with your requirements, and we'll check availability with our contacts at ESF and then confirm back to you. 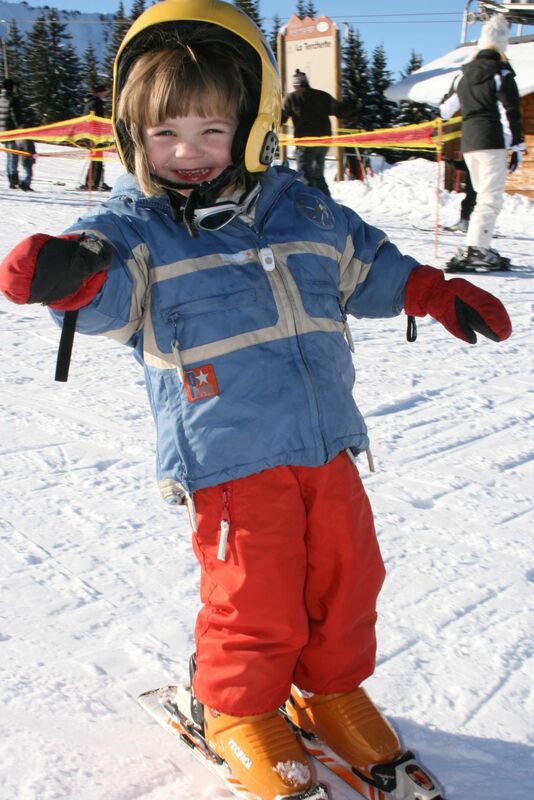 Of the ski schools in Morzine, BASS Morzine runs "Mini-Beginner" beginner lessons for 4 year olds, during UK school holidays only, with a maximum of 4 children in the class, to enable children to have fun as well as learn the basic skills, for £275 for 4 x 2 hours. There's also a Junior Beginners course for 7 year olds+ for £225 for 5 x 2 hours and a "Green"course for children who have 8-10 hours experience. The Ecole de Ski Internationale (E2SA) www.morzineski.fr/en offers "Flying Start" lessons for children aged from 4, in groups of maximum 6, starting at €190 per week and going up to €285 in the holiday period (12.5 hours). All group lessons run from Monday to Friday. For children who have already got some skiing experience, there are 6 other levels from Cristal to Competition, max 8 per class, from €180 - €265 for 12.5 hours tuition (max 8 per class). See the E2SA website for good tips for parents! The Snow School www.the-snow-school.com run children's Mini Group Courses for ages 4 – 14, for €250 for 5 x 2 hours (Mon – Fri), 4 children per instructor. There is a separate group for 6 - 14 year olds, 4-6 children per instructor, for €218 per week, 5 x 2 hours, Mon-Fri.
French Ski School (ESF) runs 6-day English-speaking group courses for children of all levels from Sunday – Friday. Ages 4 – 14 cost €140 for 6 half days (15 hours outside of Feb holidays, 12 hours during Feb holidays). Children can also go in full day ski lessons for 6 days for €190, or start half-day or full-day lessons on a Monday and finish on a Saturday – the ESF is the only ski school in Morzine which offers this option. The ESF also offers a "package" for beginners or those who have done 1 or 2 weeks' lessons, for 6 x half day ski lessons plus Morzine-Les Gets ski pass for €213 per week, which represents a saving of €70 on the ski pass - we can arrange this for you. There is also the Avoriaz Village des Enfants, www.village-des-enfants.com, which offers a similar service to the Club des Piou-Piou in Morzine and takes children aged 3 - 16, but may be more convenient if you have younger children and you are wishing to have lessons in Avoriaz or meet up with other members of your group.